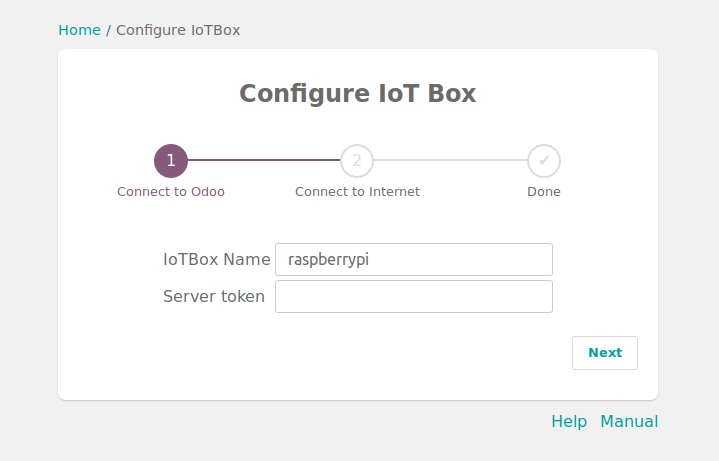 Install the Internet of Things (IoT) App on your Odoo Database. 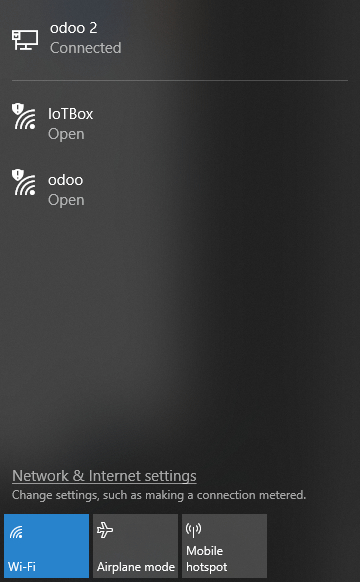 Go in the IoT App and click on Connect on the IoT Boxes page. Follow the steps to connect your IoT Box. Connect to the IoT Box all the devices that have to be connected with cables (ethernet, usb devices, etc.). Power on the IoT Box. 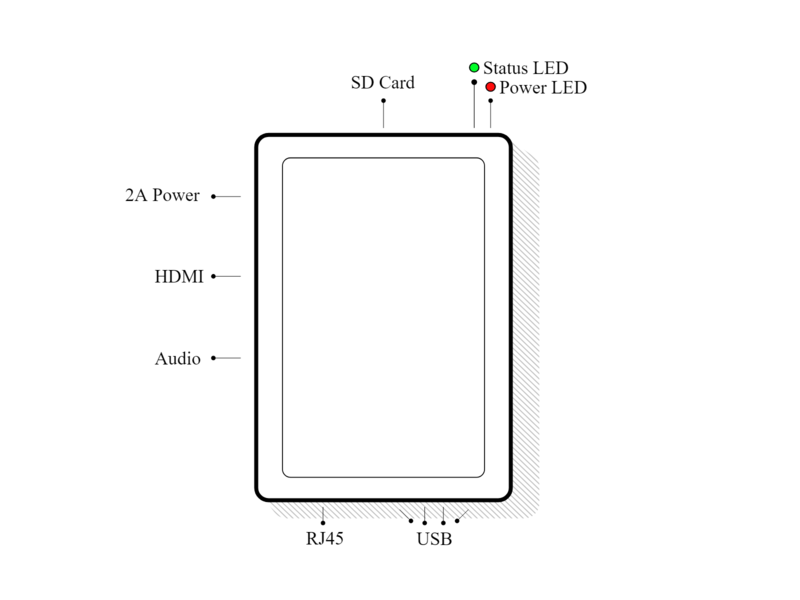 Connect to the IoT Box WiFi Network (make sure there is no ethernet cable plugged in your computer). 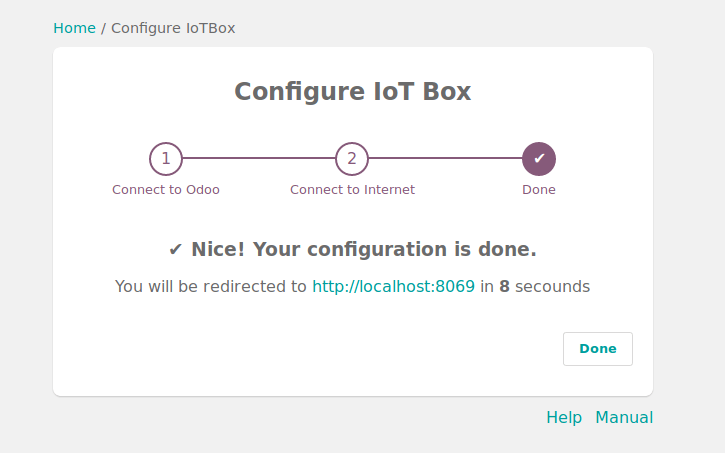 You will be redirected to the IoT Box Homepage (if it doesn't work, connect to the IP address of the box). 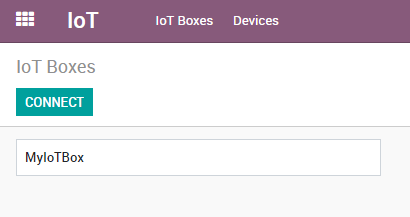 Give a name to your IoT Box (not required) and paste the token, then click on next. If you are on Runbot, do not forget to add the -all or -base in the token (e.g. this token http://375228-saas-11-5-iot-f3f920.runbot16.odoo.com|4957098401 should become http://375228-saas-11-5-iot-f3f920-all.runbot16.odoo.com|4957098401). Choose the WiFi network you want to connect with (enter the password if there is one) and click on Submit. Wait a few seconds before being redirected to your database. You should now see the IoT Box.